Vue.ai's product recommendation engine tailors suggestions for shoppers taking into account visually relevant styles such as color, pattern, shape and more. This kind of visual merchandising gives shoppers the ability to explore a variety of products in the styles they’re interested in. This provides retailers the advantage of being able to understand shopper intent, engage and convert them at a higher rate, real-time. Product Page: Use visually similar styles on product page to reduce bounce rate, improve engagement and increase conversion. Wishlist Page: Manage out-of-stock in wishlists by using visually similar personalized product recommendations. 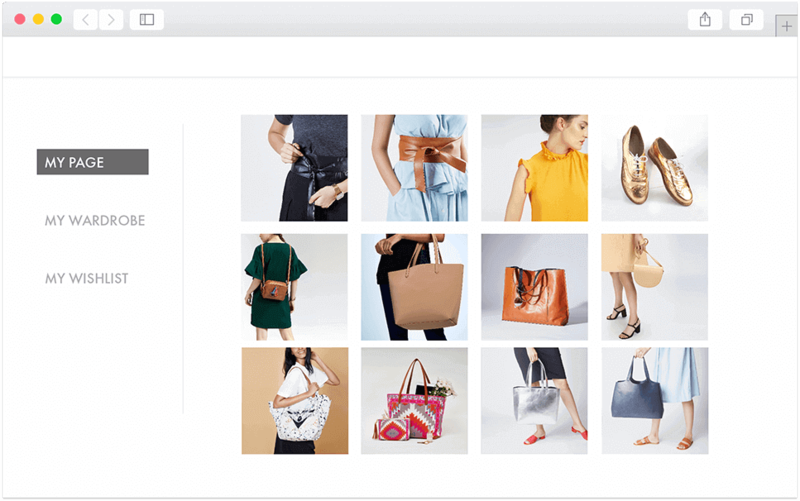 VueInsights: Curate visually similar styles that reflect your shopper's preference across collections. VueStudio: Use visually similar styles in shoppable videos to prevent out-of-stock. VueMail: Tackle cart abandonment with similar style personalized product recommendations via email. Product Discovery: Get your catalog discovered more with similar style based visual merchandising. Retention and Repeat Purchase: Take into account the shopper's visual style preferences in email marketing via VueMail, urging them to come back to the site. Reduce Bounce Rate: Provide better engagement on product and wishlist page recommendations based on similar styles. Marketing: Make your marketing videos shoppable using VueStudio, which provides visually similar recommendations. Shopper Engagement: Aid shopper navigation with similar style recommendations which keep them engaged. Shopper Experience: Provide recommendations relevant to every shopper, consistently, enhancing the shopping experience. Shopper Journey: Reduce shopper fatigue using an AI-powered product recommendation engine across the site, with similar style recommendations along their journey.